Ehab is 27 years old, and is currently the youth programs and popular engagement assistant at PlanBørnefonden International Denmark. He has been working in civil society since 2008, and is committed to just social development and inclusive change. 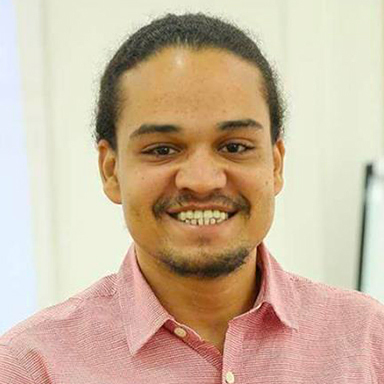 He started his career in civil society by co-founding Ruwwad Egypt, where he was the director and project officer for youth empowerment from 2014 to 2017. In 2012, he received his bachelor’s degree in law from Cairo University. In 2013, he was awarded a diploma in civil society and human rights from the Faculty of Economics and Political Science at Cairo University. He has studied, and been mentored in governance transparency and accountability, community facilitation, and youth leadership, receiving certificates from the Coady International Institute of St. Francis Xavier University in Transparency, Accountability and Governance (2013) and Global Youth Leadership (2016). In 2013-2014, he was the recipient of the Lazord Fellowship Egypt. He is a co-founder of the Mesaha Foundation for Community Development and a member of the management board of NGO “Al-Amlany El-Gamila” (Beautiful Wishes) for people with disabilities. Ehab is also a member of the Goethe Institute regional team of trainers for civic education.